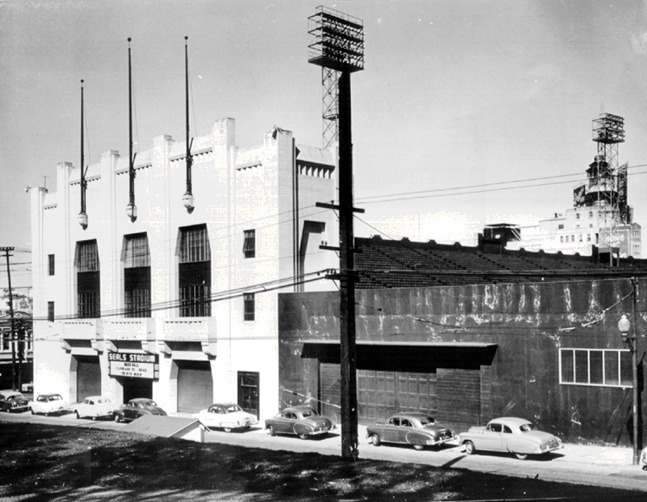 Seals Stadium from corner of Bryant and 16th looking northeast, c. 1958, during the first year of the Giants in San Francisco. 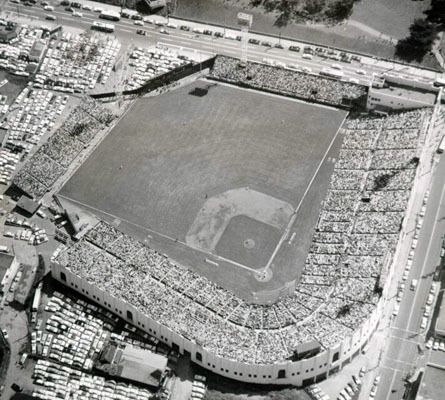 Seals Stadium, 1958, first year of Giants occupancy. View from behind home plate, along Bryant Street, looking southeast. 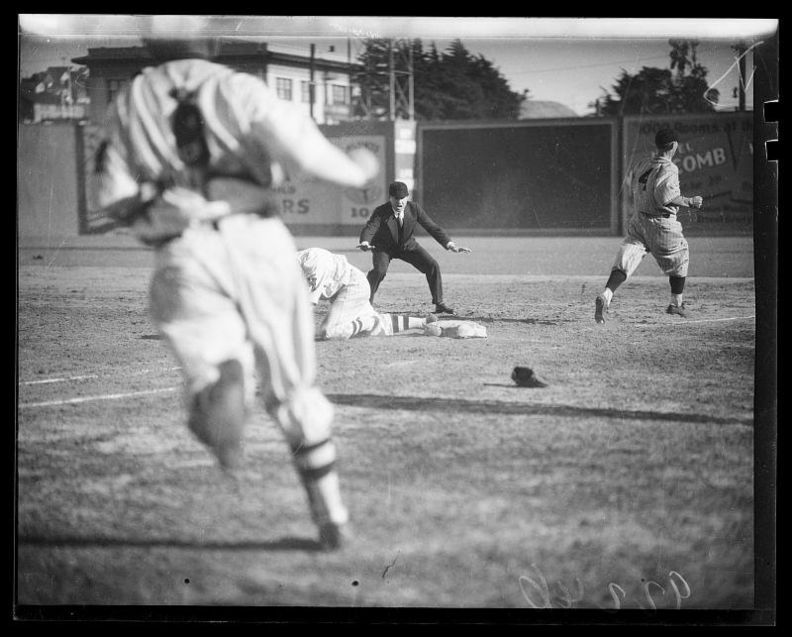 Opening Day 1934, San Francisco Seals vs. Seattle Sounders, April 3, 1934. Seals Stadium from the air, 1950s. 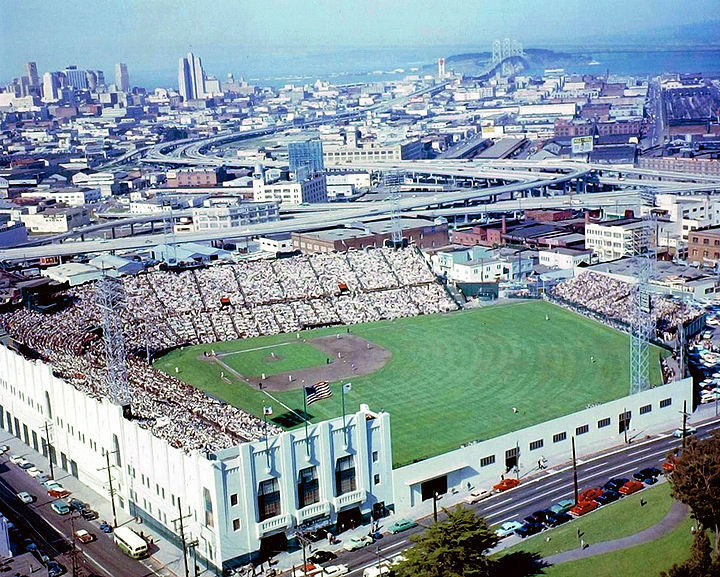 Seals Stadium anchored the block between Bryant and Potrero on 16th St. for about 30 years, and was home to the SF Giants in 1958 and 1959 when they first arrived in San Francisco. 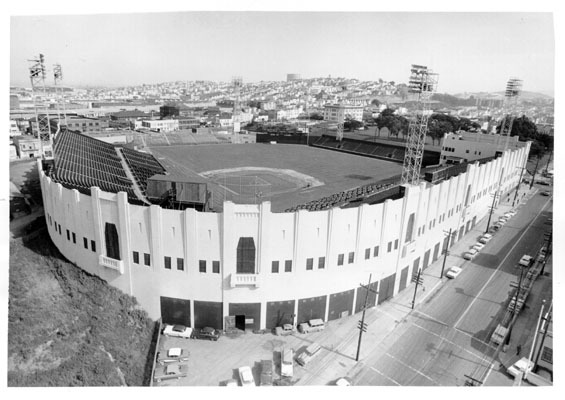 When Candlestick Park opened in 1960, Seals Stadium was destroyed, and replaced by a White Front department store, which in turn made way for an Auto Center and Safeway, and is now known as the Potrero Center, a new mall opened at the end of 1996. 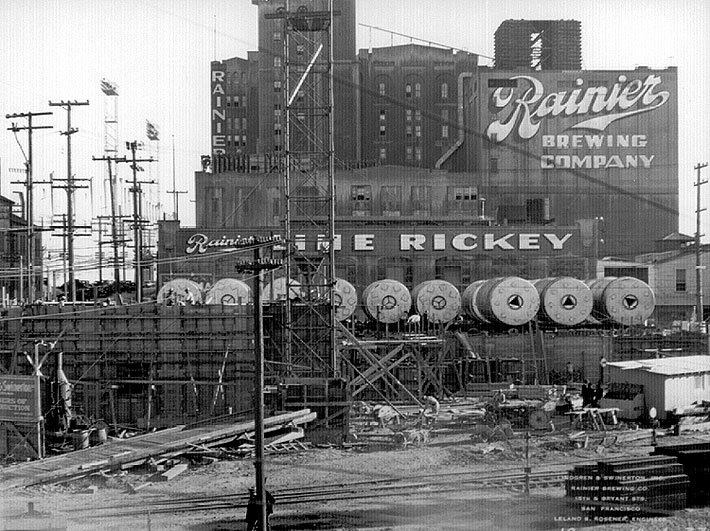 The former Hamm's Brewery (before that the Rainier Brewery), now an office building, used to anchor the northeast corner of the Mission at 15th & Bryant, adjacent to the Freeway and former Seals' Stadium. 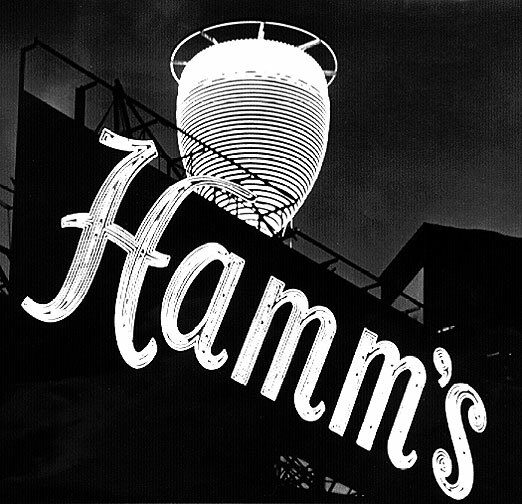 For a brief time it was home to a thriving punk rock scene and known as "The Vats." 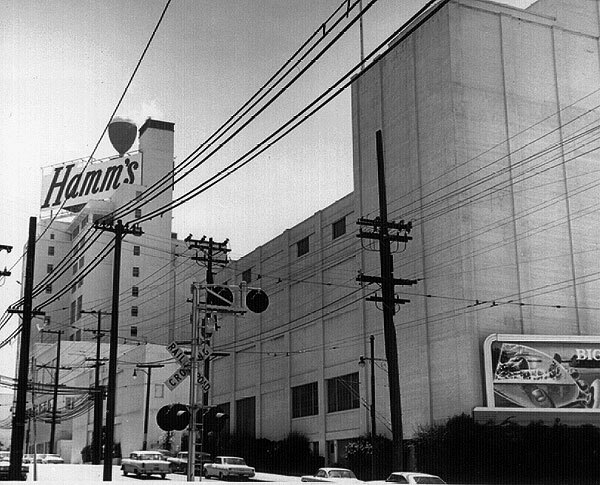 The Hamms Brewery, 1960s, with its famous giant beer glass made up of yellow and white light bulbs that filled and emptied all day every day. Night shot of the famous cup. 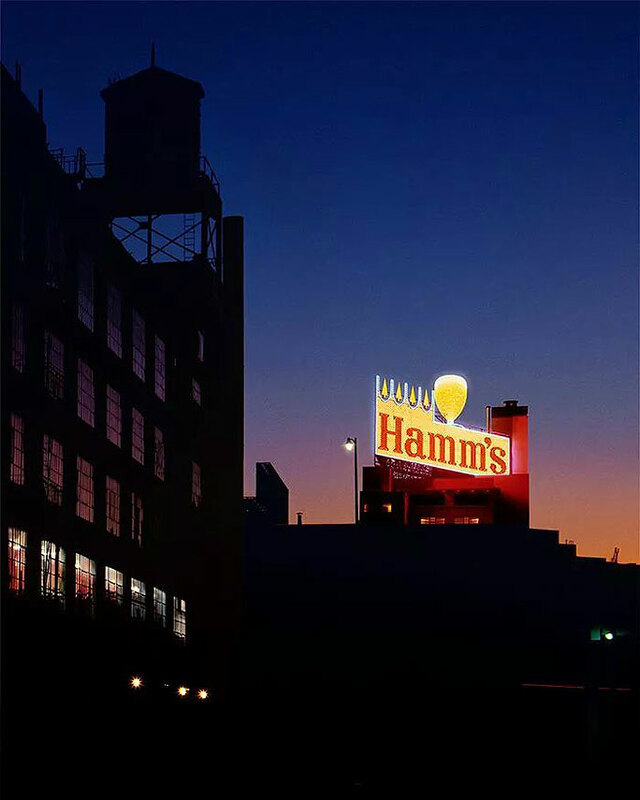 Hamms Brewery at night, visible to all near and far thanks to the famous illuminated beer mug on top.